The development journey of the Foundation began in December 2011 through the guided vision of the five initial board members: Rev. Dr. Julius R. Scruggs, Rev. Dr. Larry B. West, Rev. Dr. Marcus D. Davidson, Rev. Dr. Clifford A. Jones, Sr., and Rev. Dr. Thomas Morris, Sr. after returning from a trip to the White House. In June 2012, the board members met in St. Louis, Missouri to develop and expand their guided visionary efforts to setup the foundation. The company name selected was National USA Foundation, Inc. (NUFI). The National USA Foundation, Inc. is a State of Tennessee nonprofit corporation exempt from federal income tax under Section 501(c)(3) of the Internal Revenue Code as of January 19, 2013. 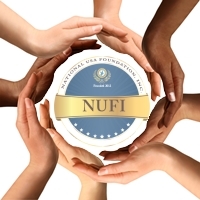 NUFI launched the website www.nufi.org in September 2013.